New in v0.3.2 : IE8 final version ! This is an alpha release, so feel free to post comments/bugs on the IETester forum or contact me directly. 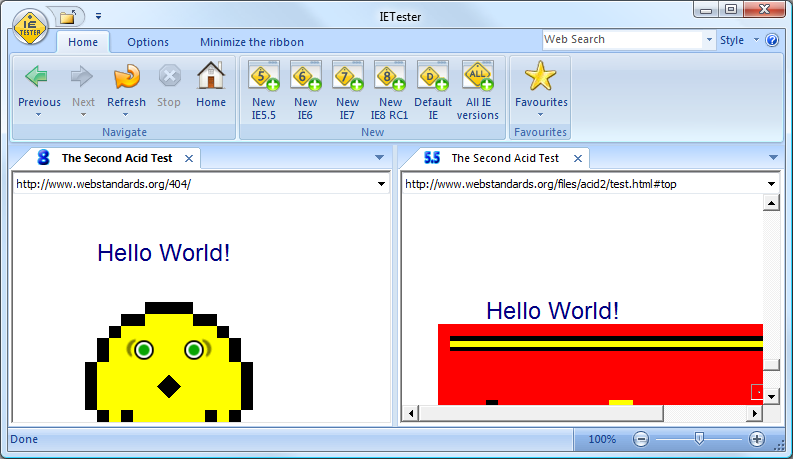 Flash is not working on IE6 instance in user mode : A solution is to launch IETester as admin user and Flash will work. CSS Filters are not working correctly in user mode : A solution is to launch IETester as admin user and CSS Filters will work.